Click the link to read the review to see the rating. 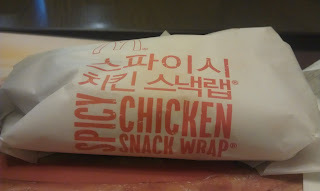 In early to mid 2011 McDonald's Korea introduced snack wraps, but they are slightly different than the ones you can get in Canada and the US. 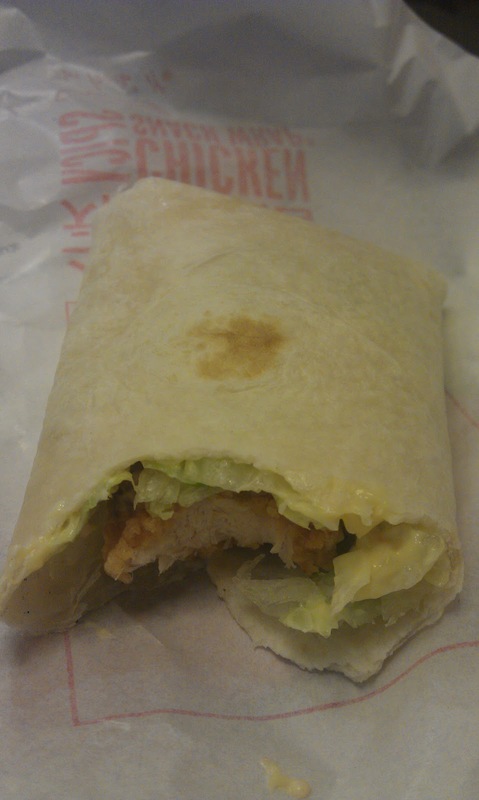 The original two variations were the 'Spicy Chicken Snack Wrap' and the 'Spicy Beef Snack Wrap'. They have had one or two limited edition wraps since then, including the 'Shanghai Deluxe Snack Wrap' and the 'Grilled Chicken Snack Wrap'. I have able to sample each, and I will get to reviewing the others soon. The snack wraps themselves are always 1800KRW which is a pretty good value, and they do make a nice snack. Unless they have a promotional one, they are usually hidden away on the 'Side Dish' menu and not heavily promoted. 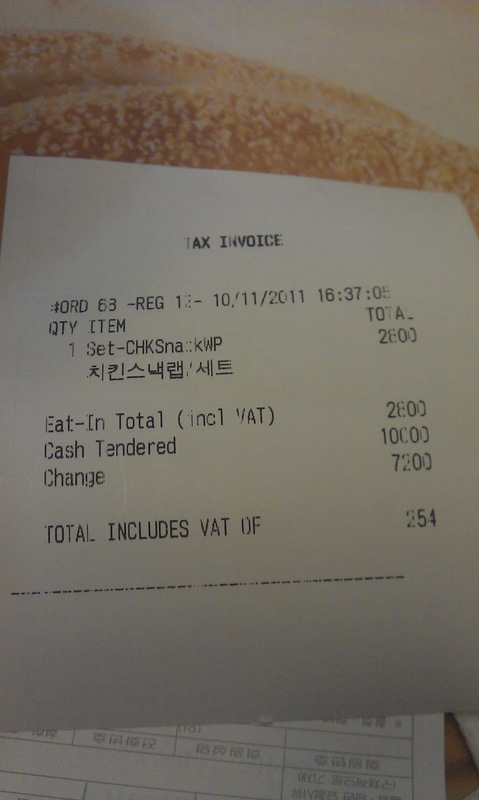 If you order the wrap as a 'set' you can get a medium drink for only 1000W (~90 cents) more (a 800W savings), though note, Korean McDonald's do not offer refills since 2011, the only fast food chain I know of in Korea that still refills is Burger King. The wrap itself isn't the biggest snack in the world, and if you are hungry, it will definitely not fill you up. The chicken strip inside is about 1/3 of a burger patty, and it uses the same chicken as the Shanghai Spicy Chicken Burger, so it is a large hunk of breaded white meat. The sauce is a spicy mayo, which actually has a nice horseradish-esc kick to it. I've had this twice over the last 2 years and each time, they were skimpy with the lettuce, and I always felt that they should add a slice of tomato. They use a rather large tortilla to wrap a single chicken strip, so most of the bulk you feel is rolled up tortilla. I rather enjoyed the tortilla, you rarely find tortillas for sale in Korea (go to Costco if you really want some), and I would have liked to been able to buy some to try and make proper fajitas back in my apartment.